We’ve finally seen gameplay footage of Red Dead Redemption 2. Surprise, it’s got cowboys. Our ‘Shop Contest this week is all about figuring out where those cowboys go. In the gameplay trailer for RDR2, it’s explained that the West encompassed all kinds of areas. Swamps and deserts, plains and mountains. My assumption is that if you point yourself in a direction, you’ll eventually wander off the game map. But where does the cowboy go when they leave the map? 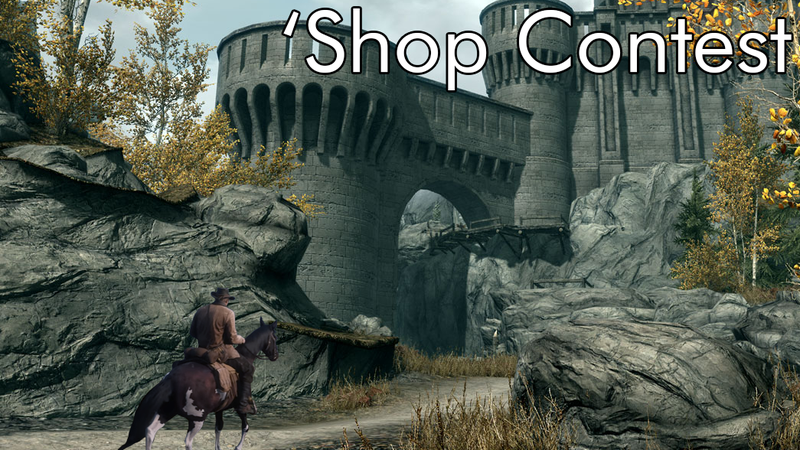 Our ‘Shop Contest this week is all about showing where the cowboys go if they mosey just a little too far. As you can see above, it’s interesting to me that Tamriel is just a hop away from the map boundary. But it could be space. Or the Upper Aedirn. Or that stage where you fight the steak in Earthworm Jim 2. Anything is possible. I’m including a handy .PNG of Cowboy McProtagonist from RDR2, but feel free to use anything from the trailer in your quest to put the cowboys in the places. Next Saturday I will look at all the entries and choose a winner and some honorable mentions! Good ‘shopping to ya, the rest of the instructions are below. Y’all.